What’s more, there is no science to support the so-called online “brain-training” games that now make up a billion-dollar industry make you smarter, mentally clearer or more creative. Hey, I was certain it must have. Putting Brain Training To the Test, a study I found on the website of the National Institutes of Health (NIH), showed only a modest improvement for the pre-schoolers and elderly participants in the testing of over 11,000 subjects here and in the U.K. The rest of us? Nothing. Then again, the study involved only about four hours of training over six weeks — not exactly getting ready for the Olympics. I did find a lot of information and science on general internet addiction. There’s even a diagnosis for eBay addiction marked by those who are more taken with the rush of out-bidding others online, than the item at the center of the auction. One woman allegedly plowed through her husband’s 401K to feed her eBay habit. Online gaming addiction has been studied by the Department of Social Sciences at Nottingham Trent University in England which identified the common traits among online gaming addicts as sensation-seeking, self-control, neuroticism and aggression. There’s even a 20-point questionnaire to find out if you’re addicted to the internet, but it’s the usual “do you neglect household chores or your job to spend time on the internet?” But Scrabble, Words For Friends? Nothing. Besides the possibility of a true word game addiction, here’s one possible reason I am last to power down: there is absolutely no scientific evidence that our small wireless gadgets interfere with the operation of an airplane. Flights will go haywire if a gadget is used under 10,000 feet. There are some claims that pilots have seen instruments go haywire because of electromagnetic interference from devices being turned on below 10,000 feet. The F.A.A., CTIA, and Radio Technical Commission for Aeronautics were unable to show, in several reports over the last few decades, that a gadget being turned on could cause any interference with a plane’s navigation systems. There have been fewer than a hundred anecdotal reports despite hundreds of million of flights flown. No government report has stated there is conclusive proof. Bilton also raises the point that if our wireless gadgets can really cause interference for the pilot, why are they allowed on board at all? Certainly the homeland security and safety officials who prohibit hand lotion and tweezers on board would never take a risk with a potentially dangerous hand-held device. Yet, in 2010, no crashes were attributed to people using technology on a plane. None were (sic) in 2009. Or 2008, 2007 and so on. You get the point. 9/11 has been invoked throughout the Alec Baldwin debate both online and in my household where someone has given me scornful looks over the breakfast table which usually has two iPhones and at least one iPad as part of the table setting. They may be annoying , but there is simply no evidence to support the idea that someone reading an e-book or playing a video game during takeoff or landing is jeopardizing safety. On that delicate note of 9/11: the personal cell phones on United Airlines flight 93 were used by the passengers to call loved ones, share details about the hijackers and gather important information regarding the other terror attacks, the news of which informed their decision to thwart a likely attack on the White House. The cell phones didn’t bring the plane down. The brave passengers who stormed the cockpit did. Today, the FAA says they just want to err on the side of caution when it comes to digital devices on planes and argues there is insufficient evidence available to warrant a change in policy. Of course not, there hasn’t been a study since 2006. And the FAA doesn’t seem to understand that “airplane mode,” turns off the radio frequency on those gadgets so one can still read a book, or work on anything already downloaded. For his part, Bilton asks whether or not the government might even be causing more unnecessary interference on planes by asking people to shut their devices down for take-off and landing and then giving them permission to restart all at the same time…. like waking someone up with a dozen people yelling into bullhorns. The wireless industry has done their own, albeit biased studies, which show airplanes, which are assigned different radio frequencies, have no interference from commercial wireless devices. Which brings us to poor Alec Baldwin who just wanted to play a couple extra rounds of a word game while his plane was waiting for take off. Sorry, but even American Airlines’ morning after statement sounded like the 50-year-old gym teacher Baldwin invoked. I’m not certain the Word Game Addiction Test will ever include the questions: “Have you ever hidden in the bathroom to conceal your wireless game?” or “Have you ever been thrown off an airplane for refusing to put your letters away?” Still, I’d like to think there’s a better way to handle a challenging passenger, celebrity or not. Given the absolute faux risk involved, the punishment doesn’t exactly fit the crime. We’re all pretty jumpy when we travel nowadays. 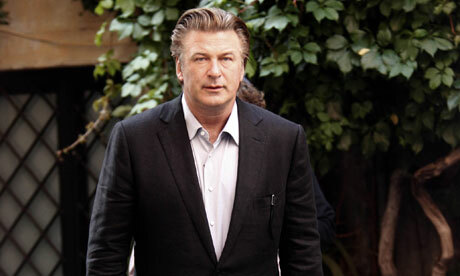 Alec Baldwin has apologized to his fellow passengers. I think we’ve got a teachable moment for all parties involved. Now if only someone can explain why I can’t angle my seat back just an inch or two to take the pressure off my bad back during take offs and landing? Or why the window shades have to be up?